It will all come down to turnout—whether we see a Blue Wave or Red Wave or waveless outcome on Tuesday, November 6. For an increasing number of American voters, however, the act of voting isn’t a shared civic experience on Election Day. Early voting has been on the rise each election year, including by mail-in or absentee ballot—at least, for those who know how to use “snail mail.” Although electronic voting machines are in use in many places, if you want to vote by mail, that means putting down your device and entering the arcane world of postal reality—and using a quaint “sticker” called a postage stamp. Perhaps it’s not surprising that some of today’s digital-age college students have rarely used regular mail. But when living away from home (that is, away from their place of residence for voting purposes, unless they’ve made a change to their college address), they may need to use an absentee ballot. This involves navigating the basic postal system and the particular rules of the state in which you live. 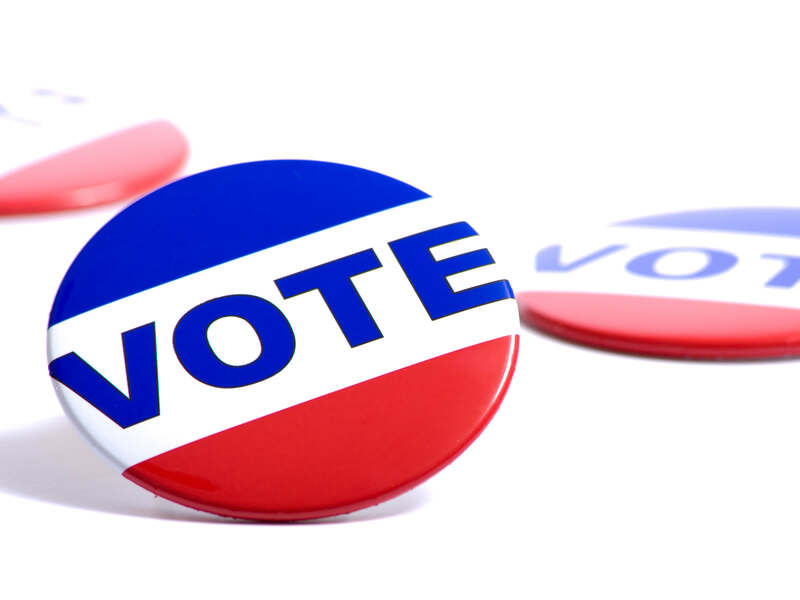 Voter turnout includes the sum of all votes cast—whether as a percentage of potential registered voters, or as a percentage of the voting-age population. It is the deciding factor in a hotly contested election cycle. Regardless of campaigns’ claims and pollster’s proclamations, it is actual voters who decide. And voters may be anywhere on a spectrum of enthusiastic to apathetic. Midterm elections are often seen as a “referendum” on the sitting president’s performance, and this year is certainly no different. After two years in office, President Donald Trump will be a major factor in many races, driving turnout both in favor and against. Nationally, the Democratic Party hopes to win majorities in Congress, the better to resist the president’s agenda; Republicans hope to maintain their hold on the legislative branch. Turnout in midterm elections is never as high as in presidential-election years—about 40 percent as compared to 60 percent of the voting eligible population. The record high for a U.S. midterm election is 49 percent in 1966, but the record low, 36 percent, occurred in just the most recent midterm, in 2014. Although the entire House of Representatives is up for election every two years (435 members), only one-third of U.S. Senate seats are contested in midterm years. This election cycle contains a large number of “open” seats, because of incumbents retiring. Many statewide elections—for governor, lieutenant governor, state attorney general, and so on—also are scheduled for “off-presidential” years. In 2018, 36 out of 50 governorships are on the ballot, along with many state and local political offices and propositions. Overview of factors such as presidential approval rating that are likely to affect voter turnout in the 2018 midterm elections; includes link to a video explanation. Analysis of voter-turnout statistics and factors affecting voting in general. A look at the sometimes challenging matter of absentee voting for college students. This site answers what is on the ballot across the nation, as well as a basic civics background. Report on a study showing that young Americans are trending Democratic. Forecast of high turnout in 2018 based on voter enthusiasm across the political spectrum.